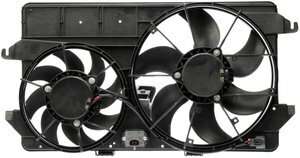 Save time, money and labor with Dorman's Engine Cooling Fan Assembly. It comes ready to install with the motor, shroud, and blade. Plus, our high quality engineering ensures optimal air flow and strength to prevent your vehicle from overheating.